Using the best High Density Urethane in the industry we produce exceptional signage to your exact specifications. Take your project to the next level by adding second surface acrylic elements. PVC, Acrylic, Metal Face, or HDU we can do cut letters in any style; straight or prismatic. Whether you need turn key service on your project or if you are just looking for an unfinished sign to make your own we guarantee that the sign that you receive will be of the utmost quality. Need a classy upgrade? Don’t settle for a flat print mount take it to the next level with a second surface install! From straight digitally printed vinyl to specialties we can mount just about anything to give your sign the extra pop it needs. 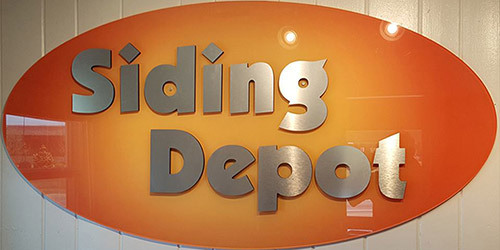 Cut letters on their own or on a backer panel are a great way to increase the dimension and visual texture to any sign. Prismatic to metal face, we can cut it all and kick your sign up a notch! We protect our price list to protect you and our industry. For non trade pricing call us at (770) 792-8898 or by visiting our retail website here. Register to have access to our Online Wholesale Pricing Calculator today!